Beatles LOVE Discount Tickets 2019 40% Off! 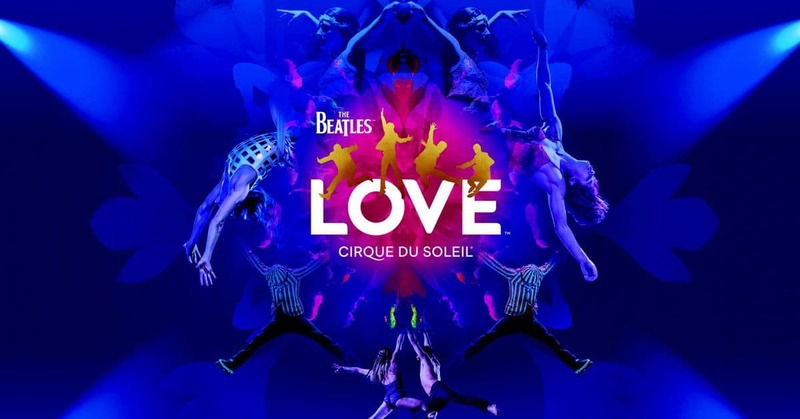 Save up to $66 OFF Beatles LOVE by Cirque du Soleil 2019 tickets! Discount available at Category C, D, or E tickets for any show between now and December 31, 2019! Celebrate the legacy of the Beatles and enjoy a spirited journey through their song catalog and history. Featuring original Beatles songs matched with beautiful Cirque du Soleil performances, any Beatles fan or Cirque du Soleil fan is bound to absolutely love this show by the same title.Love explores the Beatles from a variety of different perspectives. Since it opened at the Mirage hotel and casino it has drawn a massive audience. Love explores the Beatles through their original songs and also through the poetry of their lyrics. With aspects of the show based directly out of the lyrics from their songs, 60 performers take stage to perform acrobatics and beautiful freestyle dance to some of the Beatles greatest hits. With scenes inspired by some of the Beatles history, original costumes and their concert and stage performances any lover of the Beatles is bound to be clapping along and loving the show. It has a raw and youthful energy much like the band did in their touring days. You might even be able to catch Beatlemania once again. Featuring characters as mentioned directly in Beatles songs, you can follow Dr. Robert, Eleanor Rigby, father McKenzie, Lady Madonna, Sgt. Pepper and even The Walrus on a mystical journey through the acts of the show. The Toronto Star even called the experience “a magical mystery tour you’ll never forget”. Many of the acts feature mash ups partnered with dazzling special effects, hallucinations and visions from Beatles history. You will surely hear some of your favorite Beatles songs in the show and potentially hear them in brand-new ways. The show runs five days a week on Thursday, Friday, Saturday, sunday and Monday with a 7 PM and 9:30 PM showing. Tickets are available at the Mirage box office or you can book online using our Beatles Love discount tickets and promo codes above to save money on your tickets.